I love spending time in nature! 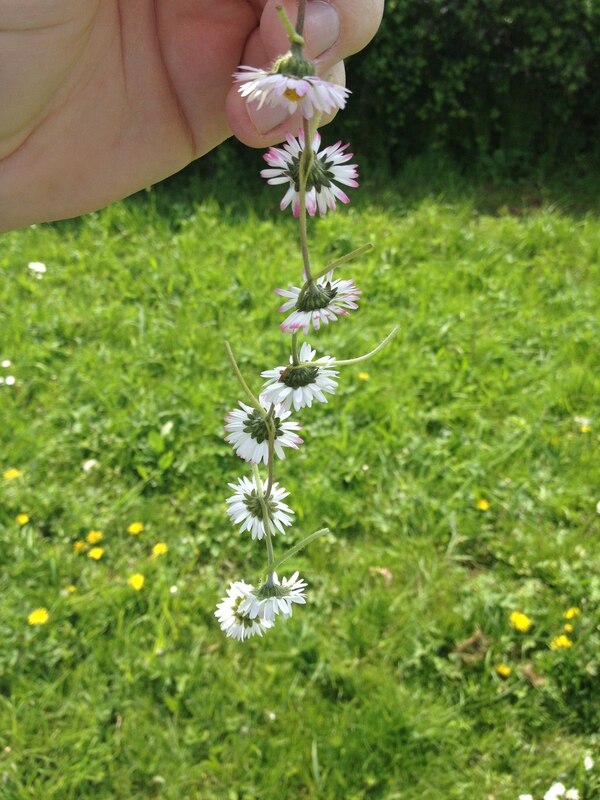 Last weekend Joni took me to a lovely meadow in Cranfield and I could not help myself, but make some flower garlands. 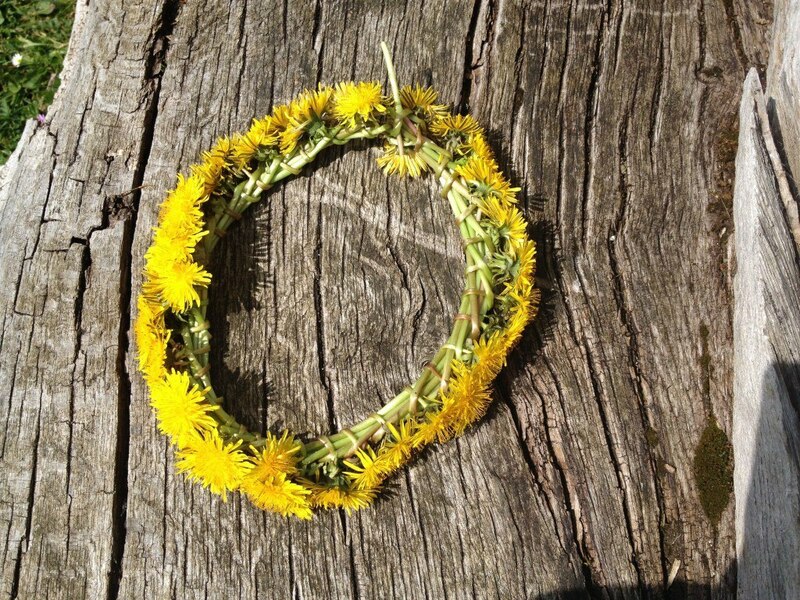 From my childhood I have learned to make dandelion head garland wreaths, but I suppose you can apply the same technique to any other flowers. 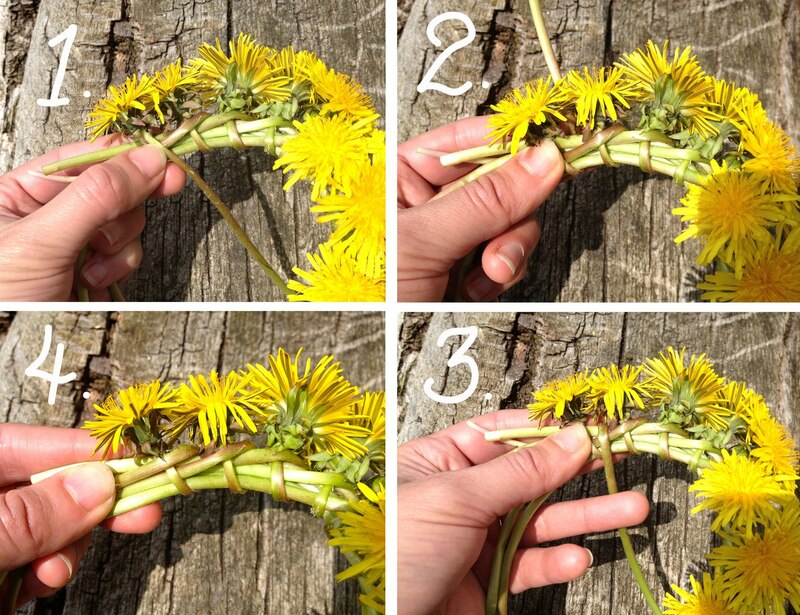 This is how you could make your dandelion garland: 1. place a dandelion on the garland end (start the garland by placing the dandelion on the other dandelion and following the same steps). 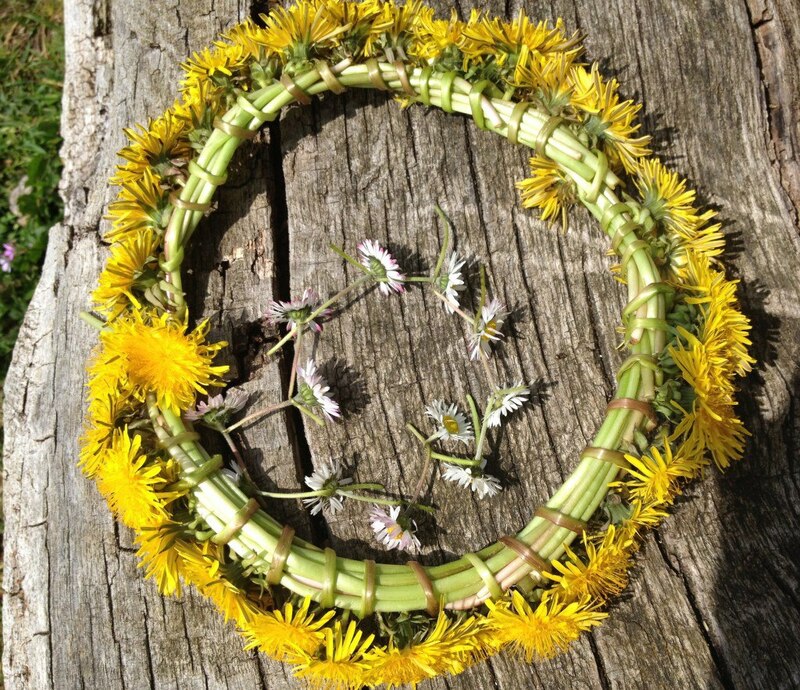 2-3. wrap the stalk of the dandelion backwards around the garland. 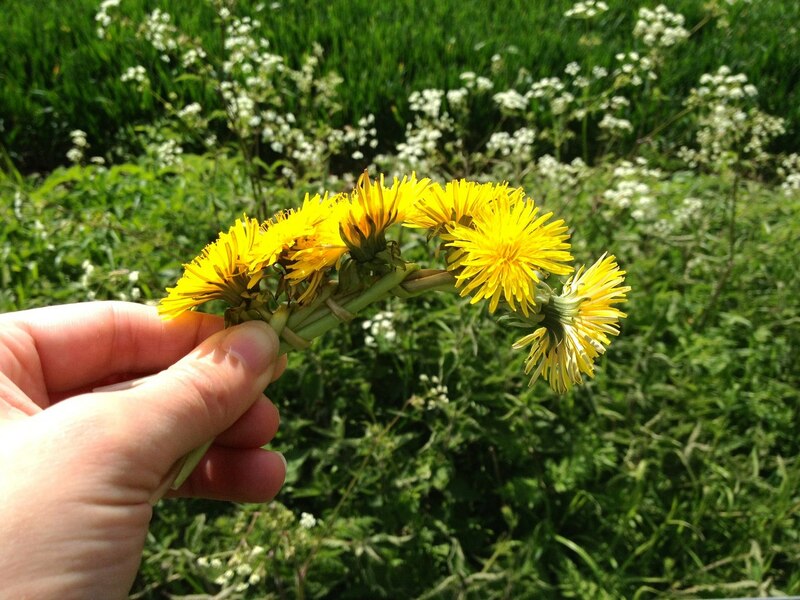 4. join the leftover dandelion stalk with the rest of the garland. 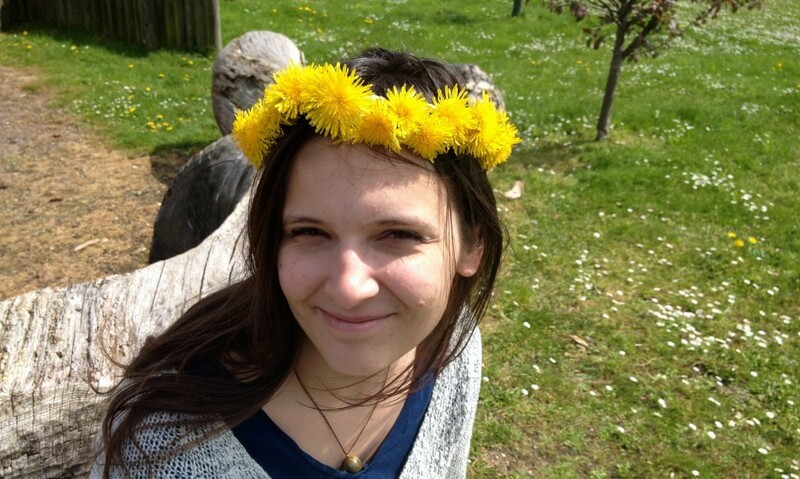 Joni had another technique for flower garland making, which looked more like a chain. 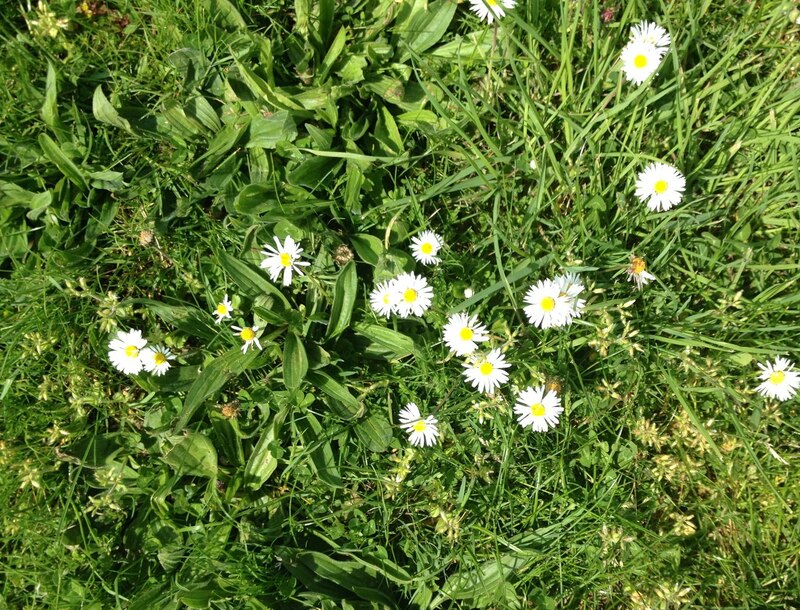 He made a hole in each daisy stalk and pulled another daisy stalk though it.